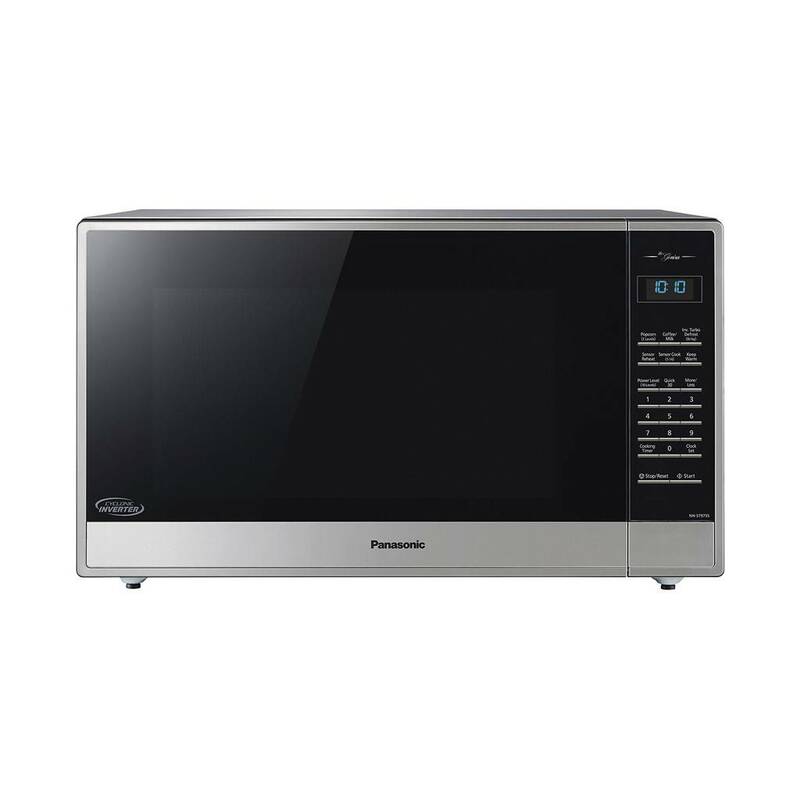 With this Panasonic countertop model, the power is at your fingertips to cook meals evenly in a microwave. Heat up food in no time with 1200W of high power and a Cyclonic Inverter. Sensor cooking takes the guesswork out of choosing the right setting, so you can get right to enjoying your dishes. As for the look of the unit, its stylish design and six-button chrome control panel help add a modern style to your kitchen. With 1200W of high power, your meals cook very quickly. 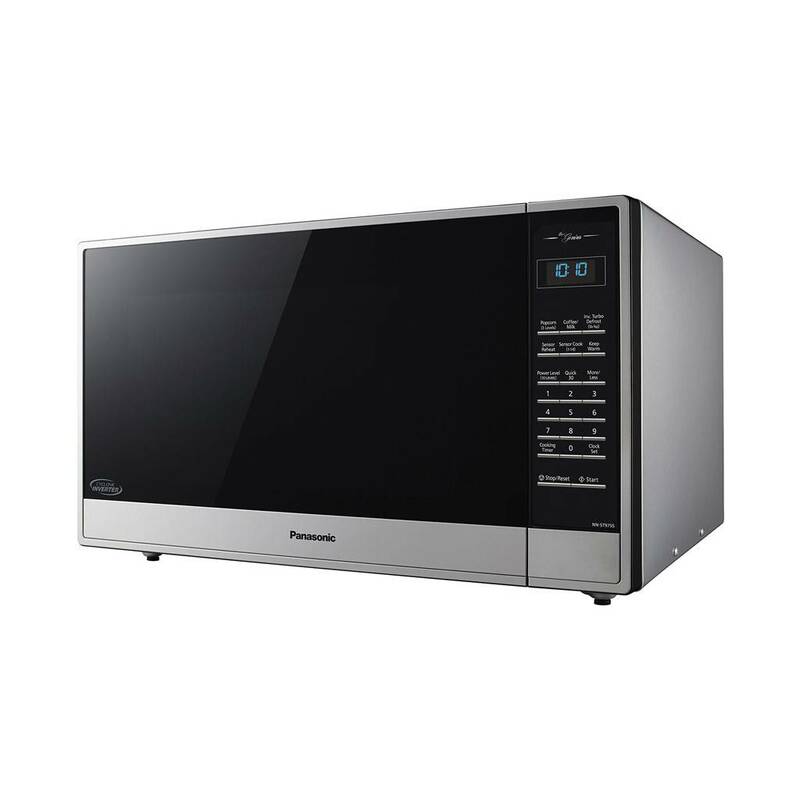 Cyclonic Inverter technology lets the microwave operate on multiple power levels by delivering graduated power sequences continuously, then adjusting the intensity for each meal selection. If you think this will help you make perfect meals, you’re right. Forget about power levels, food weight and cooking time. Sensor technology built into the unit takes care of these things for you. Innovative and simple, this six-button control panel makes the unit easy to operate, unlike your TV remote control. Oven Capacity: 1.6 cu. ft.